Will California launch its first satellite sometimes soon? The californian governor hinted at the possibility during an environmental conference. so they can copnduct their own research without getting hindered by federal politics. Even if Trump (or Pence) gets replaced by a democrat in 2020, it will only be a matter of time till US voters forget about Trump and vote another republican into office (the latest, after the democrat has brought the economical long term desaster under control, that likely will result from Trumps policies). And maybe this next republican president will be as economically shortsighted as Trump ... or even more ... and will, just as Trump, turn the Environmental Protection Agency into an Environmental Pollution Agency once again. We are the largest economy in the entire nation, provide a quarter of the nation's food supply and have four or five of the largest ports in the entire country. California needs to do what is right for California. Screw the rest of the country. 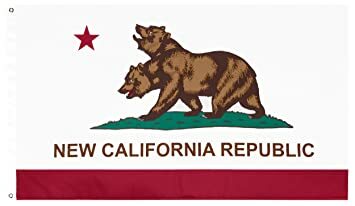 We Canadians look forward to negotiating a free trade deal with the New California Republic when the day comes.